Categories: Blog. Tags: Lightroom, Photoshop, Software, Tips. Some good news and updates recently for users of Lightroom and Photoshop CS4. Along with the good news is continued confusion in various online forums about Adobe Camera Raw and its relationship with Lightroom so here’s an attempt to explain some of what the two have in common. Adobe Camera Raw (ACR) is a software plugin used by Photoshop to decode (or “demosaic”) raw files. A version is supplied with every new copy of Photoshop (and Photoshop Elements) and the plugin is regularly updated as new cameras are released because new cameras mean new types of files for the ACR plugin to understand. Any new major release of ACR (like ACR 6.0, 7.0, etc.) 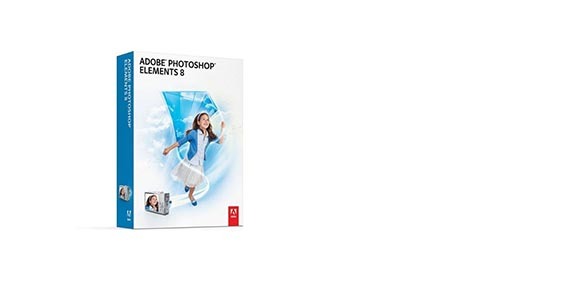 is usually available only for the latest versions of Photoshop and Photoshop Elements. The current version for Adobe Photoshop CS4 is ACR 5.7, released last week and available from Adobe as a free download. It works with Photoshop CS4 and Photoshop Elements 8. Does Lightroom use Adobe Camera Raw? No, not directly. Lightroom’s decoding (or demosaicing) of raw files doesn’t rely on the ACR plugin itself so installing a new version of ACR won’t change Lightroom’s rendering or allow it to read new types of raw files. However, Lightroom and ACR share functionality and code—it’s just that Lightroom’s implementation is contained within the application itself. A new release of the ACR plugin for Photoshop usually means a corresponding release of Lightroom. The two are independent but usually updated together. ACR 5.7, like Lightroom 2.7, offered support for raw files from newly released cameras but that’s not the reason for this article. 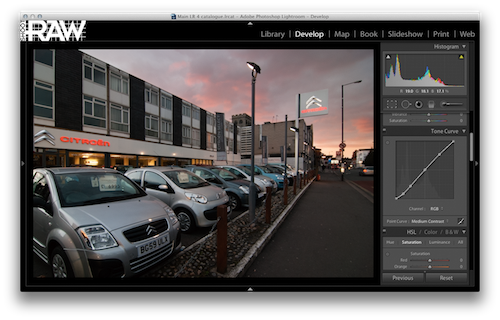 Version 5.7 also included a nice surprise for users of Lightroom 3 beta 2. It turned out to include the code to allow it to decode raw files using the new raw decoding engine contained in the Lightroom 3 betas—specifically, Lightroom 3 beta 2. This code is what gives Lightroom 3 its much improved colour noise reduction (see previous articles here and here) and finer detail. Till now, if you were working in a Lightroom 3 beta and chose “Edit in Photoshop” (command-E on the Mac, ctrl-E on Windows), you’d see an error message in Photoshop CS4 (if you were using LR3 beta 2) or just wonky results (in LR3 beta 1). When you install ACR 5.7, that problem is gone, allowing you to work on a raw image in Lightroom 3 beta 2, then open the raw file (including your Lightroom edits) in Photoshop CS4 and continue to do pixel-level work. Very nice. A few weeks back, we wrote about the new and old process versions for Lightroom 3; what ACR 5.7 offers is really a way for Photoshop to work on raw images that you edited in Lightroom using the 2010 process. It doesn’t allow you access to the new noise-reduction controls directly from Photoshop but it does appear to respect the settings that you used within Lightroom 3 beta 2. Sidenote: when you work on a raw image in Lightroom and choose “Edit in Photoshop”, Lightroom doesn’t immediately create a TIFF and send it across to Photoshop—the ACR plugin within Photoshop reads the original raw file and the list of changes you’ve made in Lightroom and applies those changes itself. The TIFF gets created only when you save the file in Photoshop. Now that version 5.7 contains a raw decoding engine that’s compatible with Lightroom 3’s, this process works again for users of CS4 and Lightroom 3. 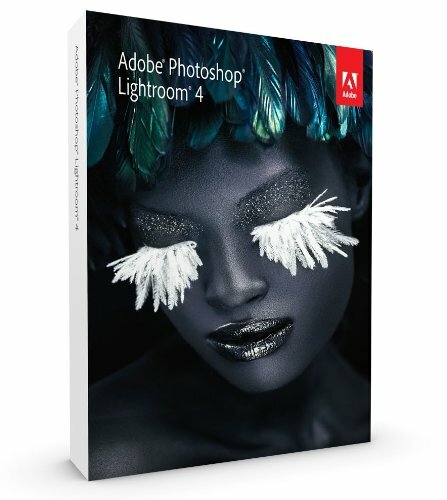 What all this seems to suggest is that there will be a version of ACR for Photoshop CS4 that will remain compatible with the final release of Lightroom 3, meaning that you don’t have to update to Photoshop CS5 immediately to keep tight integration between Lightroom and Photoshop. If that’s true, it’s a very welcome gesture. 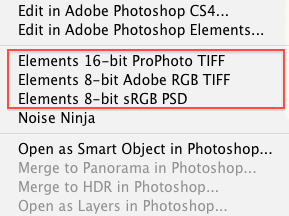 Photoshop CS5 looks like a very strong release for a certain type of photographer. If you haven’t already seen the content-aware fill demonstration, you’ve been missing out so take five minutes to watch it now. It’ll make your jaw drop. Categories: Blog. Tags: Lightroom, Noise reduction, Software, Tips. Lightroom 3 is built around a new, improved demosaicing engine (the raw converter code that makes a full-resolution, full-colour image out of your raw file). It also includes the older conversion engine used in Lightroom 2 and earlier so to see the full power of Lightroom 3, you need to make sure you’re using what Adobe calls the 2010 process (that’s the new raw conversion engine) on each of your raw files. The old engine is referred to as the 2003 process. (In Lightroom 3 public beta 1, they were called process version 1 and process version 2—the new names are a definite improvement.) This is a per-image setting so you can choose which images use which process and can mix old and new in one catalogue. How do you tell which process you’re using? To switch to the 2010 process, just click that warning symbol. You’ll get the chance to review the before-and-after changes and to apply the changes to the whole filmstrip. Comparing the the changes side by side at 100% can be a useful way to understand the differences between old engine and new. In Lightroom 3 public beta 2, released today, local sharpening controls (brushes, gradients) and luminance noise reduction are both much more powerful than they were in Lightroom 2. You might find some settings for sharpening, negative sharpening and luminance noise reduction that you’d used previously to be way too high for the new versions so carefully review as you update your work. Alternatively, you can now choose your process version from a new menu item in the Camera Calibration section of the Develop module (lower right). When you begin to use Lightroom 3, it can be useful to make a virtual copy of a picture and use the old engine (2003 process) and the new side by side on the same image to get a feel for the difference between the two raw converters. For the full effect, choose a high-ISO image, with local sharpening applied. The second public beta now includes an option to view images side by side when you convert from the old process to the new but it can be useful to do it manually, particularly for images in which you’ve used many brushes. Compare results at 100% using the compare function (hit C in the grid, with both versions of the picture selected) and you should see a significant—and sometimes dramatic—difference in quality. Why do some or all files use the old process version in Lightroom 3? If Lightroom 3 can tell that you’ve done some work on a raw file in Lightroom 2 or a pre-v6 release of Adobe Camera Raw, it will keep using the 2003 process for that image so that the picture continues to look just as it did in Lightroom 2. That’ll happen if it sees an XMP sidecar file next to the raw file and can tell that the XMP file was created by Lightroom 2 or ACR 5.x or earlier. What are the main differences between the 2003 process and the 2010 process? For an early and subtle example of the difference in quality between version one and version two with default settings, even at low ISO, see an earlier post on protecting fine colour detail in Lightroom 2. Towards the end, it contains some Lightroom 3 screen shots of the example image—there’s a clear difference in the way that colour noise reduction works. Now that Lightroom 3 beta 2 is available and contains working luminance noise reduction, we’ll post more example files soon. Initial testing suggests very impressive NR results but it will take more time to be absolutely sure. Categories: Blog. Tags: Lightroom, Maintenance, Software, Tips. 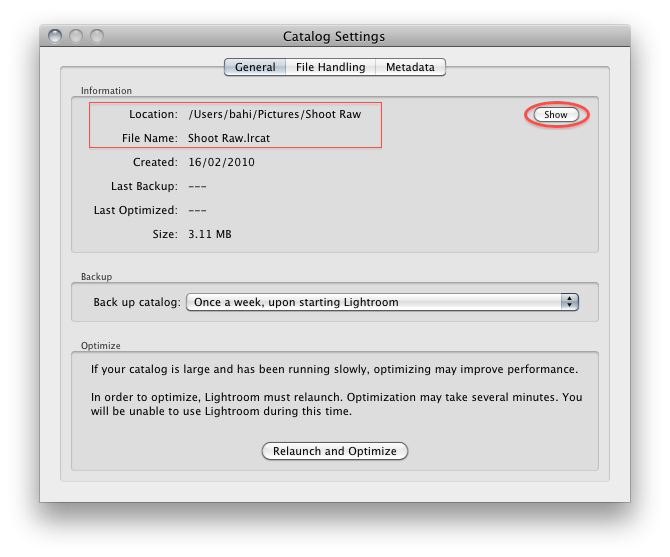 Here’s an article about backing up your work when you’re using Lightroom. It offers ten tips for backup, addressing common mistakes and misconceptions about what photographers should back up and how. It’s a long article but you can skim it very quickly and see if any of the headings tell you something new. If you have no inclination to read it but you think you should do something about making backups of your work, you can always call us. 1. Your Lightroom catalogue is critically important. You need to back it up. Lightroom maintains a collection of information called a catalogue. The catalogue tracks the names and locations of all the images you import into Lightroom together with the changes you make to those images. Brushes, gradients, keywords, ratings, crops, colour and contrast changes—everything you’ve done to every image in Lightroom is in that catalogue. 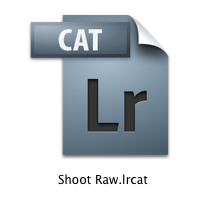 The Lightroom catalogue has a filename that ends with .lrcat. Find the catalogue and make sure it’s being backed up. See screen shots below to learn how to identify your catalogue file. Above: the Lightroom catalogue icon as it appears in Mac OS X. This particular catalogue is called (fairly obviously) Shoot Raw. Below: how to find the location and filename of your Lightroom catalogue after choosing Catalog Settings inside the Lightroom application. This example shows a brand new, empty Lightroom catalogue. Lightroom doesn’t usually alter your original image files at all, whether you shoot raw, JPEG or TIFF. It uses the original files together with the changes recorded in the Lightroom catalogue to generate all its previews, prints and exports, including web galleries. So: back up both your catalogue and the image files that Lightroom sees. This is an important point that many photographers miss when using Lightroom. If your backup software (something like Time Machine, if you’re on a Mac) backs up your data while you’re working in Lightroom, there’s a good chance that even if it manages to grab a version of that all-important Lightroom catalogue, what it gets might be useless when you need to restore it and you’re in a major, major panic. So make sure you run your backup software when Lightroom itself is not running. 4. RAID isn’t backup. Neither is a Drobo. If you keep your pictures and Lightroom catalogue on a Drobo or on a suitably configured RAID and you experience the failure of a hard drive, you can usually continue working without data loss. That’s very useful but on its own, it’s not a substitute for a proper backup plan. A backup plan is more likely to protect you against human error and software glitches. Here are some examples. Let’s say you accidentally ask Lightroom to remove and delete some original raw files instead of the low-res JPEG versions that you once generated for client approval. Or imagine that your Lightroom database becomes damaged and refuses to open. Neither a RAID nor a Drobo will save you. You can’t go back in time and pull back an older version—if your Lightroom catalogue became corrupt yesterday, it’s the corrupt version that’s now safely duplicated across the RAID. There’s no guarantee that you can undelete the raw files you deleted, especially if you don’t discover your mistake for a fortnight. If you one day make a change to a complex, layered file in Photoshop and accidentally saved only the flattened version—how do you get last week’s version back to remove one of the changes? RAID systems and Drobos help eliminate downtime by guarding against loss of data due to hard drive failure but they do not perform the same job as a backup plan. One is not a substitute for the other. Just find your Lightroom catalogue (see screen shots in step 1) and you’ll find the Lightroom previews sat right next to it. See the screen shot below for the icon. Its filename ends with .lrdata. When you’ve found it, tell your backup software to skip this item when backing up. Above: the icon for Lightroom Previews. This file is created automatically by Lightroom, taking its name from the catalogue name that you choose. 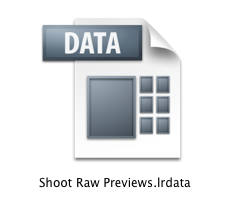 In this case, it takes the name Shoot Raw Previews. 6. Don’t rely solely on Lightroom’s own catalogue backup function. Lightroom can back up its own catalogue file every so often. (Scroll back up to the picture of the Catalog Settings window and you’ll see how and where to activate this function.) The way it works is this: you launch Lightroom and it asks you whether you want to back up the catalogue. You look at the message and you say: no, I’m going to have to skip the backup this one time. Don’t you? Be honest—that’s what you do. You do it because you have work to do in Lightroom right now (that’s why you’re launching the application) and you can remember how long it took last time. You tell yourself that you’ll let it do the backup next time. We all do it. That’s not the only problem. Are you even backing up the catalogue to a separate volume? And when you’ve finished your marathon Lightroom session, the backup copy that you made before you began is already out of date. Lightroom 3 is going to address a couple of these issues by prompting you to back up when you quit the application instead of when you launch it but there’s more. The catalogue doesn’t contain your images (see point 2) and is no good without them so you need to back those up separately. If you do that, you have to get the (possibly out-of-date) catalogue and the backup of your images in sync when it’s time to restore. And then there are the Lightroom presets you’ve created and any Lightroom plug-ins you’ve installed: are they getting backed up? The solution is this: get your backup software to run regularly and automatically when Lightroom itself isn’t running. Get it to back up all your stuff, including your images and your Lightroom catalogue. Test it from time to time. Job done. Lightroom’s own backup is great when you’re working in the field with a laptop and some extra drives but it’s not intended to be a replacement for a backup plan. If you don’t know what XMP sidecar files are, you’re not relying on them at all so feel free to scroll down to point 8. You can ask Lightroom to automatically create and update files called XMP sidecars. The application will create an XMP file for each image that you have in your catalogue. Each XMP file lives right next to the image that it represents. Each of these sidecars contains any ratings and labels you assigned the image, some metadata from the camera, the keywords you’ve entered and details of all your Lightroom work on that picture. You can send someone an original raw or JPEG file (not an export) together with its XMP sidecar from Lightroom; the lucky recipient will then be able to import the two things together and use Lightroom to see and modify all your adjustments—even the brushes and gradients. That’s useful. But if you rely on backing up these sidecars instead of backing up your Lightroom catalogue, you’ll find that when you start over in a new catalogue, you’ll have lost all of your Lightroom collections and collection sets. There’s also a performance hit if you tell Lightroom to automatically generate and update these XMP sidecars all the time. Every time you make a change to a file, Lightroom needs to update its catalogue and the sidecars. Twice the work. Above: image files in a folder with their XMP sidecar files next to them, one per image. These XMP files were generated on demand in Lightroom, not automatically. (Select the images in Lightroom, hit Command-S. Lightroom will write XMP sidecars for them.) That’s our recommendation—just generate them when you need them. Many photographers will first test their backup schemes only when disaster has struck. That’s not the time to find out that your best work hasn’t been backed up at all or that your Lightroom catalogue can’t be restored. Check everything when the going’s good: restore your data to a spare volume and test that it’s valid and complete. A good single backup volume or RAID set next to your main machine will cover you in the event of hard drive failure but probably not fire, flood or theft, all of which might affect your backups as well. Keep a copy of your data off-site and update it every so often. If you made it this far, well done. If you’re already doing all the stuff in the article, that’s even better. The biggest problem we see is that photographers either aren’t backing up at all or are not backing up what’s needed. Are you one of them? Don’ t be. XMP sidecar files. If you’d like to find out more, there’s some background in the Wikipedia article here. Time Machine—backup software that’s supplied with Mac OS X. More info on Apple’s site here. Notes on storage devices. This is from Apple and the notes are pretty basic but will be useful for many—the article is here. Mac Pro RAID. A note on Apple’s site about the software and hardware RAID options you get with a Mac Pro here. Above: a five-bay Drobo S. This version has space for five drives and is quicker than its four-bay predecessor. The bottleneck was the Drobo’s internal CPU and design, which has been upgraded. You can add hard drives to the Drobo and it will give you extra backup space without any reconfiguring and without needing to copy your old data across. You can keep working even if a hard drive fails (in the Drobo S, you can have two hard drives fail) or you can take one drive out and put a bigger drive in its place. You still lose no data and you don’t need to manually copy stuff across to the new drive—the Drobo sorts it all out. To calculate how much real, useable space you get when you add drives to the Drobo, use the appropriate capacity calculator on the Data Robotics site here. Snow Leopard. Time Machine is supplied with Leopard (Max OS X 10.5) and Snow Leopard (Mac OS X 10.6). You can read about Snow Leopard on Apple’s site. It runs Lightroom faster than Leopard but you must remember to switch Lightroom to 64-bit mode to benefit from the speed boost. (Find Lightroom on your hard drive, select it, choose “File=> Get Info” and make sure the box that says “Run in 32-bit mode” is not ticked.) Snow Leopard requires an Intel Mac. Carbon Copy Cloner. Great software (donationware) from Mike Bombich for making a clone of a single drive (for example, your boot drive) to supplement (not to replace) your data backup plan. Download it from Mike’s site. SuperDuper! Alternative to CCC. Like Carbon Copy Cloner, it can be used to make clones of your boot drive, to supplement (not to replace) your data backup plan. Get it from Shirt Pocket. Online backup services. There are several, with Backblaze and Mozy among the more popular. We haven’t used them or set up clients on them but they’re generally well regarded. They usually cost a few dollars a month and the idea is that your stuff trickles, encrypted, up to a central storage pool using your broadband connection. Probably not much good for your entire catalogue (depends how much you shoot) but potentially good for office documents, paperwork and perhaps a collection of your best work. Some services will send you a DVD or drive of your stuff in the event that you need to restore huge amounts of data. If you’re a little stuck when it comes to this sort of stuff and you’re located in the UK, we can help. Call us on 020 3092 2907 or mail develop@shootraw.co.uk. New: the Shoot Raw Store! A new thing for us: a virtual store, powered by Amazon UK. We’ve put up a dedicated page about it. You can get to the store by clicking here. We’ve sold a few things already, much to our surprise. Thank you for your support—it’s very encouraging and we really appreciate it!